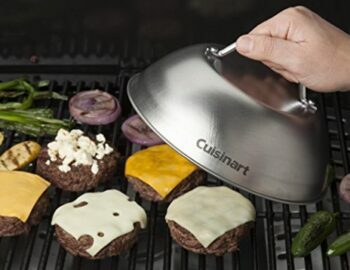 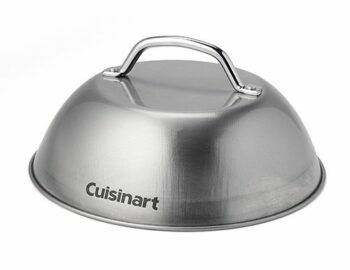 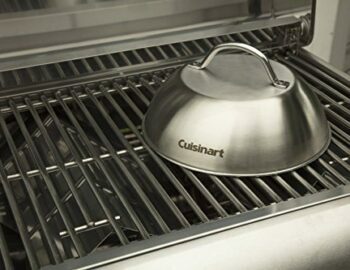 Don’t waste time waiting for your cheese to melt, grab a Cuisinart Melting Dome and get grilling! 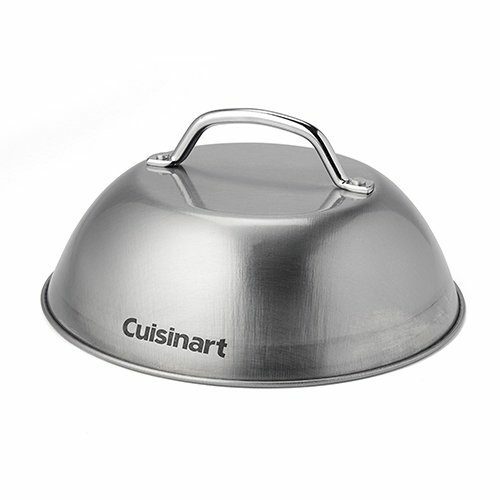 The structure of the Melting Dome allows heat to concentrate under the dome and cook your food more evenly. 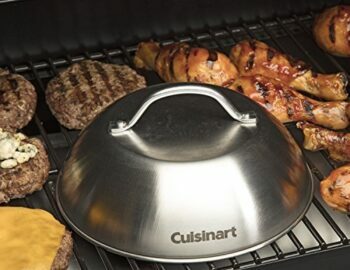 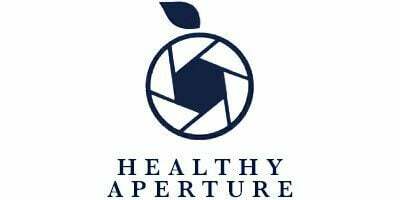 You will also get a wonderful smoker flavor as the melting dome will trap the flavors trying to escape your meal and circulate them back around, adding to that great grilled food taste. 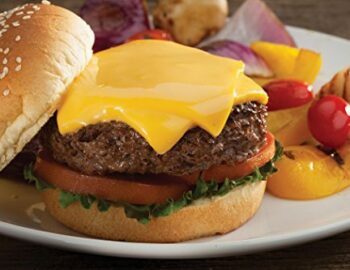 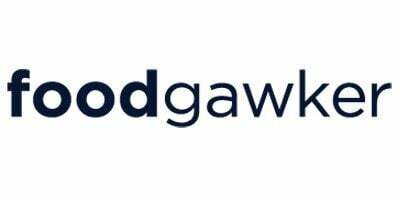 Fast melting cheese, better tasting meals, what more could you ask for.